I’ve started this piece several times over the last two weeks, and each time I got deflected and went on to something else like eating, watching TV or reading email. I’ve been stuck as a writer because I was writing to fill space, not because I had anything to say. So today I sat down at the library and decided to be authentic. No politics, no sports, not much business. Just stop thinking so much, and let my unconscious write the blog. And I still feel stuck. 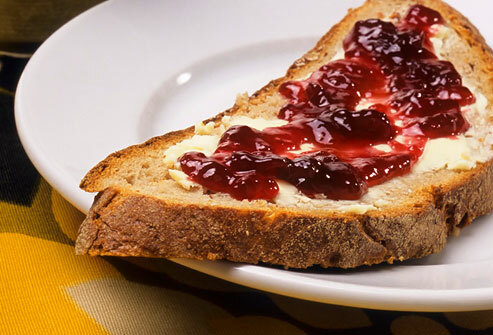 What do you do when your mind keeps drifting, and you just want to put jam on another piece of toast? I have my standby self-admonitions. “Put one foot in front of the other,” is my favorite. I don’t know exactly what it means, but it’s better than eat more toast. I also use exercise to shake me out of a funk. Thirty minutes on the elliptical watching TV sometimes pulls me out of my lethargy, but the following shower, lately, has dulled my edge again. One issue I have is that writing and operating a used machinery business are not always a good fit. At times the adrenalin rush of a deal on the cusp is much stronger than the drip of creative juices needed to put pen to paper. For me the thrill of competition in business is so overwhelming at times I just cannot summon the patience to sit and write a paragraph worth reading. This conflict between Graff-Pinkert & Co. and the lonely craft of writing is the central contradiction of my daily life. It also is the fuel. The business struggle provides topics to comment about. It keeps my brain sharp as I search for creative ways to beat my foes. Placing bets releases my adrenaline every day. Losing is a teacher and leveler. Winning can make me smug, but it usually doesn’t last too long. Since I was five years old I have been a competitor. My father was in business the day I was born, and the “fight” was his daily bread. It felt like the conversation at every dinner table was about winning and losing. For me school was about learning, but it was also about being the best. Sports was about winning. Business was about winning. Life was about being “Number One.” But the beauty of writing and other creative pursuits is that winning is not required. One of the interesting contradictions of Today’s Machining World is that it is a business. When I ran it as a print magazine I felt like it was a monthly masterpiece, but unfortunately it was time consuming and a financial flop. Now I get to write frequent current content. It is much easier to manage and it is profitable. There is also a built-in conflict regarding the content the way I’ve chosen to do the blog. Advertisers who are locked into the normal metrics and sales strategies of business publications often struggle to justify the unique approach of TMW because it often features human interest articles and personal reflections. My gut may tell me to write about a personal issue on my mind, but I cannot disregard the readers and advertisers who may prefer more manufacturing-related material. Thanks for helping me out of my writer’s block. It helps to go back to what you know when you can’t think of anything. Question: I just bought a new expensive pillow. How do you like your pillows? I have followed you for years. This is the first time I can remember you not having something to say. I like to hear words of encouragement to keep job shop owners optimistic about the future and how to survive the present. It is nice to know (at least for me) that sometimes everyone gets in a rut had has nothing to say, or has a hard time getting motivated, means we are Human. I’ve been a fan of your writing ever since we met at an MDNA convention many years ago. As a former sports writer for the local paper, I feel a kinship with you because I also try to combine writing with a career as a used machinery dealer (resistance welders). These days I write for a couple of aviation publications and I always tell people that I enjoy “having written,” because the process is painful at times. On another note, thank you for putting me in contact with Jim and Lois Montague of Montague Manufacturing in Clio MI about 10 years ago after I read about them in your magazine. Like them, my wife and I have a son with Cerebral Palsy and the group home they established (Kindred Spirit) is inspiring. We also share a love of flying and I happened to reconnect with them at an aviation event last weekend. Thanks again for what you do and keep up the good work. Thank you, David, Karen and Tom. I wasn’t fishing for compliments but it is really nice of you to comment. I have always marveled at how you manage to produce something of interest, often stimulating and provoking, at least once a week. I reckon you have a season ticket which entitles you to a spot of writer’s block once in a while. Somebody please answer the question. How do you like your new pillow? I like my pillows sort of soft and pretty flat. I bought a gel pillow at a store catering to people with back and neck woes. It is recessed in the middle and you can sleep on your back or side. I hate fat pillows. My wife has a pinched nerve in her neck partly from reading in bed. She bought a pillow and sponge assortment to provde a backsupport in bed and a bed desk to elevate a book or Tablet. Bad backs and necks are expensive. So far we are happy.